Spain’s compulsory public health and care is generally good; it has highly trained medical staff. Medical healthcare is available to all citizens on equal terms. Spanish government oversees the healthcare strictly in there. Spanish health insurance fund is known as the instituto nacional gestation sanitaria. Employers must register their employees on the social security system, as it is a must in Spain in order to give social security to all the staff. Employers and employees must pay a percentage of their wages to the social security insurance depending on their wages. Employees pay a 25% of the fee while employers pay the rest of 75% of the fees, dependent family members are also covered by the working family member and will share the same social family number. Since receiving the social security card (insurance), they can visit the nearest public healthcare center and receive free healthcare, as it would be all included in the insurance. The unemployed, elderly, people with illness problems or maternities can also benefit from free public healthcare. Immigrations living currently in Europe going to Spain which are not working currently can also sign up to NSS. Every citizen living in EU that wishes to immigrate to Spain should take their birth certificate, passport, marriage certificate, and the proof of residence in Spain in order to have the same benefits as the others. People with a stronger base (Self-employed citizens) need to pay an approximately 240€ monthly to the Instituto Nacional de Gestión Sanitaria. It covers medical servings such as: ambulance transportation, Medical appointments, prescription medicines, medical tests, basic dental care, maternity cares and etc. Spain’s public healthcare is not always free neither, it normally covers 75% of the fees for people that can’t afford to cover their whole health costs. Once you have been entitled to the social security health care you will receive a social security card and number in order to benefit from public free care. Foreign residents must contribute at least the first 2 years to the state till they can receive their own social security card. Pensioners and children have direct free health care without needing any contribution into the state system. Adelsa, Sanitas and Asisa are the biggest private healthcare insurance companies in Spain. Private insurance healthcare in Spain are very popular and there are big growing numbers of clinics in this country. Some companies offer healthcare to their employees as a benefit of work. Although it’s possible to use those private healthcare just in clinics and doctors that are members of those insurance healthcare companies. Doctors in Spain are the first point of contact with the Spanish healthcare system. Citizens can register an appointment with their ideal doctors, but there is no guarantee that they will get into the list of the appointments of the doctor that they want. people that search for healthcare need to make sure that their ideal doctor have a contract with the Spanish healthcare system. If you are treated by a doctor that is not under Spain’s healthcare system, you will need to pay the fees yourself directly as the insurance doesn’t cover it. Health centers only offer outpatient care but they do normally offer a big variety of specialist services. They offer services such as; general practices, maternity care, children care. If you got to need your doctor out of their working hours, and they couldn’t make the appointment, a doctor would come and visit you at your house, although you would be charged for that. If you don’t manage to get a doctor when needed you can always contact the local police for further information and help. Consultants are senior doctors that have achieved a higher level specialized training. 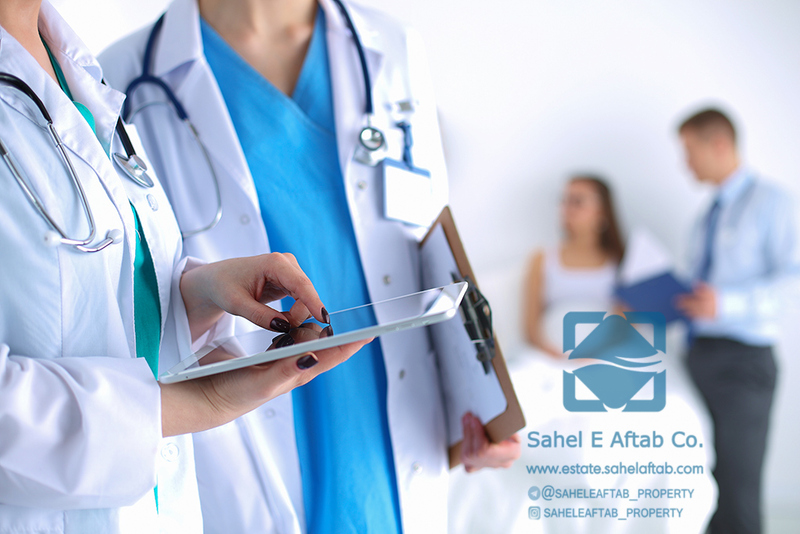 If a public doctor believe that a patient need a specialized service, they will need to make an appointment with the consultants. There are numerous numbers of specialist doctors in Spain such as gynecology, pediatrics, oncology and dermatology and etc. There tend to be a bigger waiting list in order to see the specialist consultants. There are many hospitals and clinics all around the big and small cities of Spain. Spain’s hospitals are normally in good conditions with great medical care. Patients that get admitted into the hospital may share a room with another patient, patients that are not in an emergency condition might need to wait in the waiting list. Emergency care service is given to all patients including the ones that don’t have a healthcare insurance for free throughout Spain. Emergency care in Spain has a high a quality with extremely well trained personnel’s. the speed of the treatments you receive depends on how urgency the illness is, for example a heart attack case would come before a head injury. Emergency centers normally have no vacations, and are working 24 hours every day of the year. Most of the dentists in Spain are privately owned and most of the citizens have to pay for most of their treatment, although normal checkups are normally for free. Chemist providers are known as pharmacies in Spain and can be recognized by a green flashing cross. In Spain medics are very cautious of the medicines they prescript and they are the only ones that can prescript medicines for their patients. Although you could also get basic medical advice from pharmacies personnel as they tend to be well trained. Prescription medicines are only available in qualified and registered chemist or from hospitals pharmacy. In Spain people are stricter about the medicines and it’s not as easy to get prescription medicines without a doctor’s prescription. Medicines tend to be cheaper in Spain than any other part of EU. To immigrate and receive the social security card in Spain, contact our specialists and consultants of Sahel e Aftab.